Walgreens (NASDAQ: WBA) was founded in Chicago, Illinois in 1901. As of 31 August 2016, Walgreens is part of the Retail Pharmacy USA Division of Walgreens Boots Alliance, Inc.
Walgreens is the largest drug retailing chain in the United States. 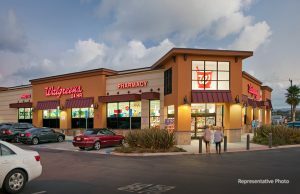 Walgreens provides access to consumer goods and services, plus pharmacy, photo studio, health and wellness services in the United States through its retail drugstores,Walgreens Health Services division, and Walgreens Health and Wellness division. The company sells prescription and non-prescription drugs, as well as general merchandise products. Today, Walgreens is taking its products and services to the four corners of the world as part of the Retail Pharmacy USA division of Walgreens Boots Alliance, Inc., the first global pharmacy-led, health and well-being enterprise in the world. 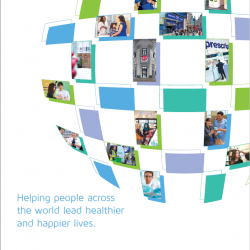 Walgreens Alliance Boots was created through the combination of Walgreens and Alliance Boots in December 2014. This transaction brought together two leading companies with iconic brands. Walgreens anticipates capital expenditures to be approximately $1.7 billion in fiscal 2015. Retail Pharmacy USA Division’s principal retail pharmacy brands are Walgreens and Duane Reade. 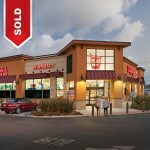 Together, they form one of the largest drugstore chains in the USA. USA Division operates 8,175 drugstores in 50 states, the District of Columbia, Puerto Rico and the US Virgin Islands. As of August 2016, approximately 76 percent of the population of the USA lives within five miles of a Walgreens or Duane Reade. Overall, USA Division filled approximately 740 million† prescriptions in 2016. Adjusted to 30-day equivalents, it filled 928 million† prescriptions in 2016. Third party sales, where reimbursement is received from managed care organizations, government and private insurance, were approximately 97 percent† of prescription sales. Sales Revenues and Store Units are reflecting Retail Pharmacy, USA business segment only.